Girl In The Woods Reviews: Book hangovers: yay or nay? Hey guys so I've decided to try to post a discussion post at least once a month, because I didn't want the blog to just feature reviews. Here goes my first attempt at writing a discussion post. Unless you haven't noticed, I fall victim to book hangovers quite easily. What- you must think- is it? Here's a picture to help your comprehension of this bookish phenomenon. To us book reviewers, book hangovers are the ultimate enemy. It's because it leads to reading slumps. Reading slumps mean we don't read for a long period of time. No reading, just living in that last book you read and pondering the what-ifs and could'ves. BOOK BLOGGER GETS CRUSHED TO DEATH BY STACK OF BOOKS. I have a personal experience to share regarding book hangovers. 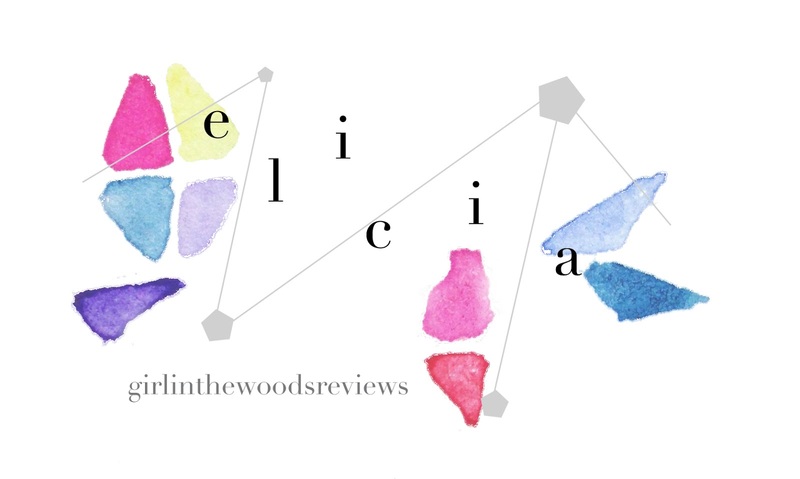 This particular book featured faeries (if you're wondering, it's The Girl Who Never Was by Skylar Dorset)- you should read my review for it- and I was so lost in this book that I could no longer differentiate between reality and fiction. I finished this book when I was in bed, after I woke up. A piece of advice should be dispensed here: don't finish a book IN THE MORNING. Never, ever do that. I remember walking around like a zombie the whole day, just not thinking and thinking all at once. I had developed feelings for him before I'd even realised it. I blame it all on the author. You have no idea what she did. She didn't just include parts where Ben (the boy) was brave and smart, she wrote parts where he was vulnerable and weak, and loving and selfless. AND WHY DID YOU HAVE TO DO THIS TO ME?! If you read through this again, more carefully, you will realise that what I'm describing is a one-sided romantic relationship with a faerie boy. Being a reviewer, meant I had to fulfill my blogging duties, with book reviews on the top of my priority list. And in order to do so, I had to read. I tried to get into a book after that, and it was on the brink of forcing myself to read, which equated to zero reading enjoyment. Honestly, with book hangovers, you love that particular book (you obsess over that book), but you hate it too because it actually stops you from reading others. The longest reading slump I've had is probably a month, but the most extreme I've seen is 6 months. Here's a link to Nova from Out of Time's post so you can see the seriousness of her reading slump, which was 6 months. 6 MONTHS. I can read so many books in 6 months. "Book hangovers are the bane of any reader’s existence, and so I’ve obviously had my fair share. However I’m lucky in that they usually don’t last too long, and less than a week later I’m straight into another book. Of course that time feels like fooooreeever since I don’t go a day without picking up a book at least once. They call it an addiction, I call it awesome :D (though still an addiction). I remember a bad hangover/slump after finishing Blood of Olympus by Rick Riordan when I’d immersed myself in the world of Percy Jackson for a month straight, and realising it was all over… that was a blow to the heart (particularly since there were no Percy chapters *deep breath* but I’ve let that go now *screams into pillow*). They tend to happen whether I liked the ending or not. For example I loved the ending to Thunderlight (The Dragonian Series #2) by Adrienne Woods but that didn’t stop me full on crying in my English exam (you wouldn’t believe the looks I got including real concern from the teacher thinking the stress was too much!) as well as refusing to so much as look at another book. But I persist on reading and eventually move on to a new, exciting book where the cycle starts again." Book Hangovers. These normally involve much weeping, moping and intensive ice-cream therapy. Whether it's a bittersweet book hangover (finishing a good series) or a tragic one (a.k.a cliffhangers and character deaths) you're going through, it's a tough time either way. I think the worse book hangover I ever had was when I finished the His Dark Materials series by Philip Pullman. True, I'd had book hangovers before, but this one was brutal. Due to the series' less than satisfying ending (and the painful knowledge that there was not going to be any more books) I found it hard to stop thinking about the story...and to stop crying! The characters had seemed so real that their pain, in turn, felt real. Their pain became my pain. I kept going over the ending again and again in my mind, twisting it and editing it, trying to make up my own 'happily ever after' in my head to ease the book hangover ache. Is there a cure? Ice-cream and chocolate help (but, then again, don't they always?!). But if you're looking for healthier options, I highly suggest music. Make a playlist for the series/book. Listen to it in your spare time. Or, if you're still feeling blue, go look up some fanfiction. Odds are some other bookworm has created an alternative ending to your series that will bring a smile to your face! Book hangovers will always be a hazard of reading, because books and their characters live on in the hearts and minds of the reader long after they've read the final page. It's the mark of a good book and a good author. The gist you get from my discussion about book hangovers is bad, right? You must be thinking, the only thing book hangovers will ever be is bad. I have seen people work well with book hangovers. They don't actually like being in a book hangover, but while they're having one they use it to their advantage. Enter: fan-art, fan-fiction (especially that), edits, songs, and full marks on quizzes about that book or series. I personally don't do any of these, because I don't really have a creative bone anywhere in my body. The only thing I do is write reviews for the book- it's pretty much the most I can do. Think of it this way. If we had a book hangover because of a book, it's valuable proof that the book is good. Book hangovers will always exist as long as we keep reading, so while I rant and rave about the unfairness of it, I have accepted that it is a part of living a bookish life. I literally do nothing to deal with book hangovers. Not even Booknut's suggestions- ice cream or chocolate. I basically just sit in a corner and cry with all the accumulated emotion from reading the book. What about you? 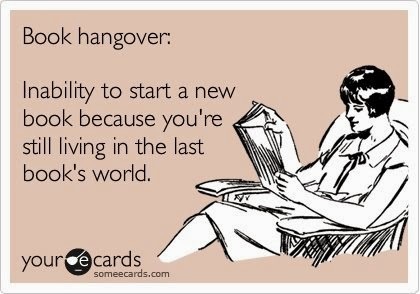 How do you deal with book hangovers? How bad are they? And do you agree that they can be good as well as bad?